Oh! Looks like I went a bit off topic, well anyways let’s keep these problems apart and stick to the topic, looking at the demand looks like even Microsoft have started providing unlimited amount of Windows 7 Beta Keys. 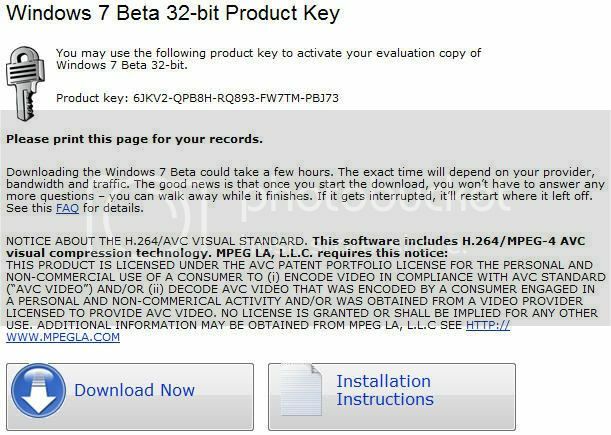 If you need a Windows 7 Beta key you don’t need to struggle, you can get it with ease. All you need to do is just sign in at Microsoft Profile Center with your Windows Live ID (NOTE: It should be an Hotmail ID, or else it won’t work), and visit the following links to generate a key for Windows 7 Beta. I tried without even signing in and it worked perfectly. Every time I pressed the refresh button a new key was generated.